This is 6 yr. old Ethan. Ethan loves "Star Wars" (who doesn't? 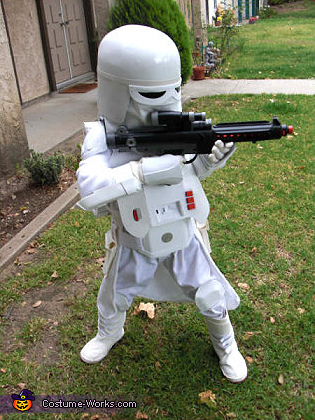 Ü), So his Dad, Daniel, made him into a Snowtrooper! Thank you Ethan and Daniel! It would be nice to see " How-To " instructions for costumes that win on this page. I'd especially like to know how the child's Snow Trooper was made. Ok Dad, pony up your secrets please ?? ?